Lahore is a city of constant change. In the past five centuries alone, the city changed hands from the Mughals to the Afghans to the Sikhs to the British before becoming part of an independent Pakistan in 1947. Its history is so layered, traversing its streets sometimes feels like peeling an onion: 17th century Mughal-era mosques stand next to a 19th century Sikh gurdwara and the burial site for Ranjit Singh, the leader of the Sikh Empire in the early 19th century. Not far outside the Walled City is Mall Road, lined by buildings built during the British Raj, such as Aitchison College and the High Court. Lahore is a fascinating case study in history and architecture. However, not far beneath the surface is the clearly elite nature in which Lahore, through the centuries, has developed and expanded to serve the interests of the few at the expense of the wellbeing of the rest of the population and the health of the city. 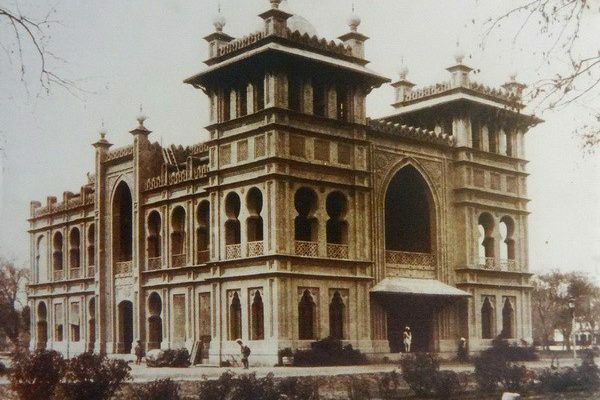 Activists and regular citizens bemoan the loss of what was once the City of Gardens; however, it is not clear exactly when Lahore was the City of Gardens. Mughal-era gardens like Shalimar Bagh and the Baradari of Kamran Mirza were not built for public use in the way Iqbal Park and the Shalimar Bagh in Lahore are used today. They were for the enjoyment of the Mughal ruling class. Other prominent Mughal-era gardens such as those surrounding the Tombs of Jahangir and Nur Jahan were built so the final resting places were befittingly beautiful. Under British rule, Lahore was horizontally expanded significantly, primarily in the form of the bungalow, a common feature in the expanding suburbs of Indian cities during the colonial period. The bungalow, a single-story house with its own yard that was separate from its neighbors, emerged as a common dwelling for the British and some Indian elites in Lahore. They differed drastically from more traditional houses in the older parts of Lahore, which were multi-story buildings housing more than one generation and serving more than one purpose: often times the upper floors were residential while the ground floor was a shop. These bungalows served multiple purposes. The first was to physically and mentally separate themselves, the British Lahore, from Indian Lahore. Glover writes, “The bungalow was seen as a refuge from the strange and unfamiliar world outside; a bulwark against losing one’s ‘culture,’ going ‘native.’” For this reason, many British houses featured walls and gates to separate them from their Indian surroundings. The second purpose was to create a more livable environment because, quite simply, they found Lahore’s climate too hot. The diary of William Owens Clark, a British official who served as the chief judge of the Punjab High Court at the beginning of the 20th century, meticulously documented climate-related measurements in and around his home. He would keep track of the temperature inside and outside his home and how the particular construction of his verandah would keep the temperature inside his home cool in the scorching days of the Lahori summers. The British planted trees and created more green areas to serve the same purpose. The desire for this kind of separate and open dwelling resulted in the rapid horizontal expansion of Lahore. Despite numbering just a few hundred people at any point in the 19th century, the British residential area, defined by the presence of bungalows, was significantly larger than the entire Old City of Lahore. The 1911 census found that houses in the civil station were on average approximately 100 times larger than the houses in the Old City. After seven decades of independence, Pakistani-governed Lahore bears strong resemblance to British-governed Lahore. The 2017 census showed that the Old City and surrounding areas have significantly higher population density than the more suburban areas like DHA. Lahore has greatly expanded geographically in the past few decades and that expansion is disproportionately to cater to suburban bungalow-style housing lifestyles. When the government wanted to do something about traffic congestion along Lahore’s Canal Road, a historic area technically designated as a protected area, they decided to widen the roads. 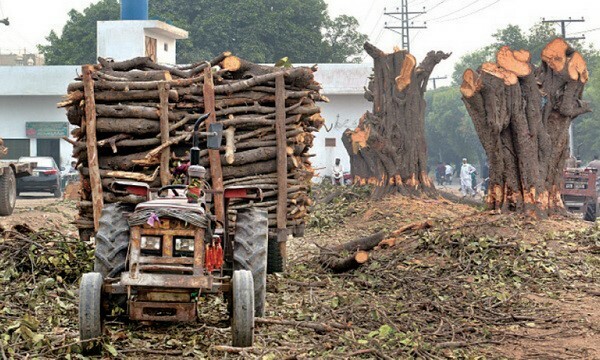 Despite protests arguing that road-widening is a temporary solution at best and that the Lahore Canal area is protected by the Lahore Canal Heritage Park Act, the government went ahead and widened the roads and in order to do so, they cut down over 1,000 trees along the Lahore Canal. But how many people exactly does this road-widening serve? According to a 2012 study by the Japan International Cooperation Agency (JICA) for the Punjab Government, less than 20 percent of households owned a car. When going to work, only 8 percent of the population drove and 20 percent rode motorcycles. 40 percent of the population walked and yet, Lahore’s sidewalks are often nonexistent or in a state of disrepair compared to major road projects. This elitism in the expansion of the city is not just philosophically derived from the British; it is literally derived, in the form of the 1894 Land Acquisition Act, which is yet to be significantly modified in independent Pakistan. According to this colonial-era law, the government may acquire any land “needed for a public purpose or for a Company” as long as certain standards are met, such as notice to and compensation for the original landholder. The section pertaining to the amount and nature of compensation is a maze of conditions and exceptions. There is nothing about resettlement of those displaced by the land acquisition. According to Aisha Ahmad, a doctoral candidate at the University of Oxford who researches land law in Lahore, this law has been used to acquire land on the outskirts of Lahore often from those not equipped to adequately challenge the acquisition and demand fair compensation. “When they were constructing Lahore Development Authority City, they acquired a lot of peri-urban land off Ferozepur Road from a few villages that, among other things, provide milk for the city and raise livestock,” Aisha Ahmad said. “It’s generally what’s designated as ‘green cover’ for the city.” The land acquired is being developed currently for the construction of LDA City, a suburban housing scheme that boasts shopping malls, a movie theatre, and even a golf course.